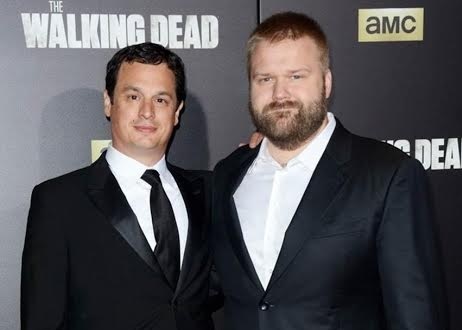 Digital TV upstart Insurrection Media, founded by former Fox SVP Kiliaen Van Rensselaer, signed a production partnership with Skybound Entertainment, the company founded by Walking Dead creator Robert Kirkman and his longtime business and production partner David Alpert (both pictured). As part of the deal, Skybound gains access to production resources, including studio space, equipment and development funding from Insurrection in order to develop future sci-fi and horror projects for linear and digital. In return, the Skybound team will set up and oversee production services for Insurrection. The two companies will also collaborate on the expansion of Skybound’s IP on multiple platforms, with Insurrection getting a first look at all of Skybound’s developing content, which it will eventually pitch to linear and OTT providers. He did not share details on the revenue sharing model. It’s a similar deal to the one Insurrection struck in September with Abominable Pictures founder Jonathan Stern and Paramount Digital producer Keith Quinn, which provided Stern and Quinn with the same production resources specifically to develop comedy projects, although that deal did not involve Stern and Quinn overseeing any production services. Van Rensselaer told StreamDaily several projects have come out of the deal, while will be announced those over the coming months. 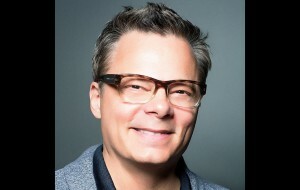 He said his company, which was founded in July, specifically chose to strike content deals with sci-fi, horror and comedy producers, because he felt those genres tend to attract the most loyal audiences (The Walking Dead’s season premiere in October saw 19.49 million viewers according to Nielsen’s three-day delay ratings, and the same weekend CBS comedy Big Bang Theory saw 19.57 million). He also said he sees the popularity of comic and sci-fi conventions as a sign of the devotion of fans. “Sci-fi, horror and comedy will represent a large chunk of our business dealings going forward, particularly when you look at Robert and David, the IP that they’ve created has resonated with a lot of audiences around the world, and across multiple platforms,” he said. According to Van Rensselaer, the two genres lend themselves well to the kind of workshopping, critique and experimentation that the companies will undergo as part of their joint partnerships, because they tend to be “more experimental in nature.” He added that he would like Insurrection to help develop content and pitch of all genres down the road, but it will likely always focus largely on sci-fi, horror and comedy.